If you’ve just relocated to the United States, your financial history gets a fresh start too. For some, that might be a good thing. Unfortunately, it makes getting established very challenging. Immigrants with no credit history in the U.S. will find it difficult to rent an apartment, buy a car, or even get a cellphone plan. It’s necessary to build a credit history before you can make any major purchases that require a loan. Even if you had an excellent credit history in a previous country, that record cannot be transferred to the United States. U.S. credit reports only contain information on U.S. lenders and creditors. However, with a little work immigrants with no credit can establish good credit in just a few months. If you’re not already familiar with the concept of credit and credit scores, it’s fairly simple. Most people require a loan to purchase a home, buy/lease a car, or make many major purchases. But credit is even extended if you have a cell phone plan. The lenders that give you the money to buy a car or extend you the credit to make phone calls want to know that they will be paid back on time. Building credit is simply building positive payment history. A good credit score is a good report on your payment history. It tells future lenders that you have a good record of paying back money on time. There are three major U.S. credit bureaus — Equifax, Experian and TransUnion – that collect credit information. When you apply for and get credit, the lender reports the existence of the account and the activity to the credit bureaus. The credit bureaus develop a credit file for each individual that shows which accounts you have, how much you owe and whether you pay your bills on time. They distill this information into an easy-to-read number, a credit score. Credit scores have a range between 300 and 850, and a credit score of 700 or above is generally considered good. 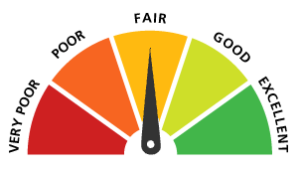 The most common type of credit score is called a FICO score. Lenders are generally going to provide better rates to borrowers with good credit scores. Those without any credit score – like new immigrants – may have difficulty obtaining some loans because of this lack of history. Having a bad credit score is very different than having no credit. If you have no credit history, lenders don’t have any information. On other hand, bad credit is generally the result of late payments, inadequate payments or no payments at all. Bad credit may take many years to repair. But no credit can be resolved by building credit. In some cases, certain lenders can make loans to immigrants with no credit history. By diligently taking small steps to build a positive history, most immigrants with no credit can establish good credit within a few months. Because a credit history is built over time, some patience is necessary. Start today and maintain good habits. A Social Security number, commonly called an SSN, is a unique, nine-digit code assigned to Americans to track earnings and benefits. The Social Security Administration issues the SSN. Generally, you need an SSN to get a job, collect Social Security benefits and gain access to some other government services. Banks and credit card companies may also ask for your SSN when you apply for a new credit card, as it helps them verify that you are who you say you are. In most cases, only immigrants authorized for employment in the U.S. can obtain a Social Security number. If you are not eligible for an SSN, you may request an individual taxpayer identification number (ITIN). An ITIN can substitute for an SSN until you get one. There are several credit card companies and loan originators that accept ITINs. Since you have little or no credit history to this point, opening a standard line of credit will be difficult or impossible. Banks and other lenders consider you a risk simply because they don’t know anything about you. You can mitigate this risk by offering collateral. With a secured credit card, you make a deposit and the credit card company typically issues a card with a spending limit equal to the deposit. In effect, you are borrowing your own money. However, in the process, you are building a credit history. If you use it responsible, you’ll establish a positive credit report and credit score. Several major card companies offer secured credit cards. A credit-builder loan is another great way to develop positive credit history. The lender deposits a small amount of money into a secured savings account on your behalf. It’s a loan that stays deposited in your savings account. Then, you pay off the loan in monthly payments. After the loan is paid in full, the money in the savings account is yours to use as you please. You’ve grown your personal savings and established your credit. The credit-builder loan isn’t used for making a purchase right away. Think of it as a savings account that is also helping your build credit. It’s important to know that you will pay an interest rate, but it does foster good saving habits. Most credit-builder loans are small, perhaps $300 to $1,000. This means that you’ll have small monthly payments. They are also generally easy to qualify for. Once you set up an account or two, establish good habits and demonstrate that you are a reliable and trustworthy borrower. Pay your bills on time. This also goes for rent and utility bills. If you are late and have unpaid balances, these companies will often share your payment history with the credit agencies. Unpaid bills can be sold to a collection agency which will be detrimental to your credit score. If you have obtained a credit card, most companies have an app or way to automatically set up your payments so that they get paid on-time, even if you forget. Don’t use too much credit. Instead, keep your credit utilization low. Credit utilization is how much of your credit limit that you use each month. Many credit experts recommend maintaining credit utilization at 30% of less of your total credit limit. You want to use it, but don’t abuse it. Pay your balance in full each month. 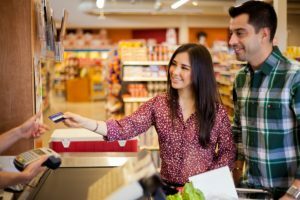 If you want to use your card more often, you can pay it off multiple times during the month. For example, if your credit limit is $300, try to keep your total charges below $100. If you’d like to use the card before the next billing cycle, pay the $100 before you charge any more. Another of the credit score criteria is account age. Therefore, keep your accounts open for as long as possible. Eventually you’ll need to open another account to continue building credit, buy/lease a car, or something else. Each new account lowers your average account age. Since having a longer credit history is better for your credit score, avoid opening too many accounts at once. Many website and credit card companies will allow you to check your credit score for free. You can check your score as much as you want. However, credit reports contain your history. Again, each of the three major credit bureaus will typically maintain a credit report for you. You are able to obtain a copy of your credit report from each of these agencies once a year for free. By monitoring these reports, you can check for any discrepancies that may be negatively affecting your credit score. Order online from annualcreditreport.com or call 1-877-322-8228. 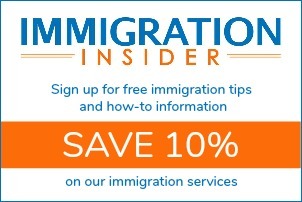 It can take immigrants with no credit several months to build a positive credit report. Generally, it takes at least three months and probably six months of activity before a credit score can be calculated. Many immigrants are able to develop a good score within a year. By continuing to maintain accounts and use them responsibly, your credit score will grow over the next few years. Only share your Social Security number and personally identifiable information with those that really need it. Banks and lending institutions generally need this number. However, in the hands of a malicious operator, your personally identifiable information can be used to open other accounts that you don’t know about. The damage caused by identity theft can ruin your credit and leave your good name tarnished with creditors for years.